Motorcycle wrecks are rarely ever simple accidents. Due to the vulnerability of the motorcyclist, a collision can leave them severely injured or have deadly results. 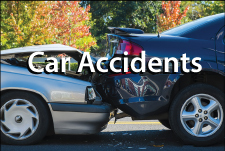 Regardless of the results of the accident, it is imperative that you retain an experienced, knowledgeable attorney who knows how to fight aggressively for your right to fair compensation. Insurance companies will not want to pay you for your injury or embrace the full impact of your accident and the extent of your injuries. At Chambers & Noronha, our lawyers are dedicated to carefully investigating the circumstances surrounding your crash. As experienced litigators, we prepare each case for trial to pursue our client’s best interests. We employ the skills of a number of experts, including doctors, economists and accident reconstructionists as we build strong cases for our clients to make insurance companies pay you for your injury. Each of our attorneys have tried numerous cases. We understand the complexities and nuances involved in motorcycle accident cases. Our clients, regardless of the injury, deserve the health care and financial support necessary to cover medical costs, pain and suffering, lost wages and property damage. We make an investment on behalf of our clients so they can proceed with confidence. We will not charge any fees until or unless we obtain compensation for you. To schedule your free initial consultation with one of our motorcycle accident lawyers in Santa Ana, please email us or call 714-558-1400.